Thanks for coming to the exhibition. JEL will be closed from 27th of April to 6th of May for Japanese holiday week. On April 1st, 2018, JEL celebrated its 25th anniversary. We would like to express our appreciation of your support. JEL Corporation established Korea Liaison Office in March 1, 2018. JEL Corporation established Taiwan Branch in March 1, 2018. We have updated the communication software JELDATA3. * There is no change to the functions with this version upgrade. Tokyo Branch was relocated on May 22. Added robots to Fukuyama factory showroom. 3D CAD drawings are available on website. Added robots to J-tech Center. 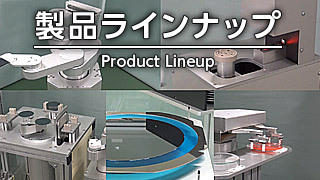 Operation check using customers' wafer is available. JEL’s warranty period was changed from 1 year to 2 years from JEL ex-work date. 2012 JEL CORPORATION ALL RIGHTS RESERVED.